My husband says I have a Type A personality. While I would suggest that I’m somewhere between a Type A and Type B personality, I do see some inclinations that support his thinking. Time urgency, impatience, and a short-fused temper are all tendencies that I wear frequently like a behavioral scarlet letter, however, this is often offset by a sprinkling of Type B attributes. One area I typically lean a little Type A heavy? Decluttering. I love a good clean-out. I love a freshly organized drawer. I love a trip to Goodwill with a car full of stuff. It’s kinda like when you get a new manicure or like that first day of school when you get to crack open that box of pens and write for the first time in a crisp, new notebook. It’s a new lease on life! Over Christmas, my friend Jesse told me about a book by Marie Kondo, “The Life Changing Magic of Tidying Up: The Japanese Art of Decluttering and Organizing.” Curious, I purchased a copy, and after a fairly substantial skim of the book, I was in. I drank the Kondo Kool-Aid. The next day, I began to tidy. To say that this method of cleaning was life-altering is an understatement. Whole-heartedly, unabashedly, I will tell you that this book has changed my home and life, maybe forever. Kondo’s method of “tidying” (or as I would describe it, total-home overhauling) is a systematic process of sorting through categories of items in your home by discarding any belongings that don’t spark joy. Yes, I actually handled nearly every item in my home and asked myself the question, “Does this item bring me joy?” Quite often, the answer was no. That item got the boot. Of course, there were exceptions. Hammers and dental floss and pencil sharpeners aren’t among things that bring me an abundance of happiness, but they do help to achieve other things that I do enjoy- art hanging on the walls, satisfactory gum health, and a newly sharpened pencil so that I can jot down thoughts to share with you kind folks. So those necessary, everyday items sometimes got to stay. It took me 6 days, 20 garbage bags, and 2 trips to the massage therapist after I overdid it with my large, pregnant self before I was able to phone Goodwill to pick up my load. And ohhh, it was a load. 98% of the items in those bags were mine; I was living in such excess and I didn’t even realize it. Years of buying new storage bins and more plastic hangers and new drawer organizers was like trying to put a band-aid on the huge, gaping wound that was simply TOO. MUCH. STUFF. The week long clear-out rid me of piles of things I no longer cared for, and likely, an infinite amount of future purchases I am now less likely to make. 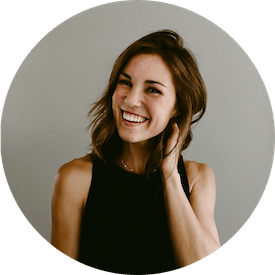 While I didn’t follow every facet of the book’s proposed methods, I can tell you that the ones I chose to utilize brought me an incredible amount of joy and lifted a burden of “stuff” that I didn’t even know I was carrying. I have recomended this book to countless people over the past month and now I’m passing this tidbit along to you: DO IT. It’s fantastic. Bless someone else with your stuff and see how much easier it is to breathe when you don’t have piles of “unnecessary” staring at you in every closet. Another tidbit? These shortbread. Ohhhhh, these shortbread. Buttery, rich cookies that are addictive and practically beg for a cup of coffee. You cannot eat just one, but take it from my personal experience: you don’t want to eat more than three at a time unless you want a bellyache combined with an irrational desire to EAT. MORE. COOKIES. This is a recipe adapted from Emeril Lagasse, and it’s one of the first things I remember baking as a teenager. Emeril’s recipe calls for baking a very similar dough in a springform pan (so delicious), but I find cookies are easier to share with friends. 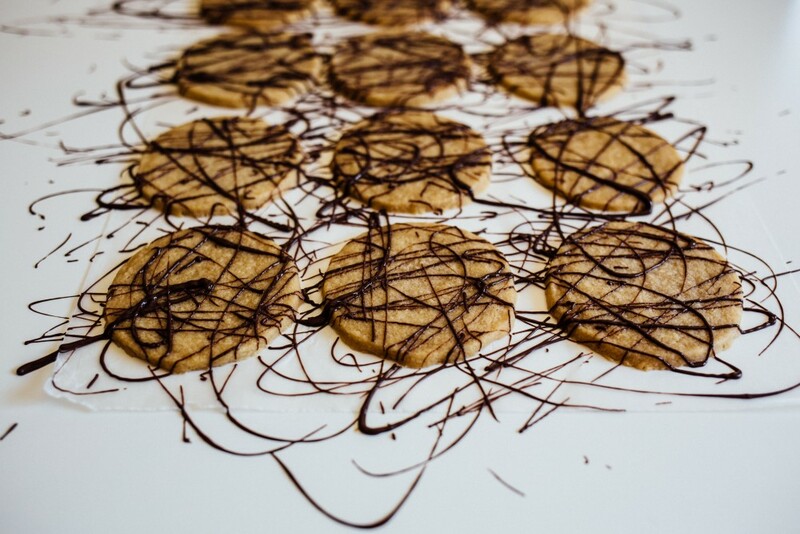 I’ve included two variations for these cookies: one with a cinnamon sugar topping and one drizzled with chocolate. I lean more towards the warm cinnamon flavors for this cookie, but certainly chocolate is never a bad choice. I’ll also mention that I prefer the thicker, smaller cookies as descibed in the instructions, although you’ll notice I went thinner and wider for the cookies I photographed. 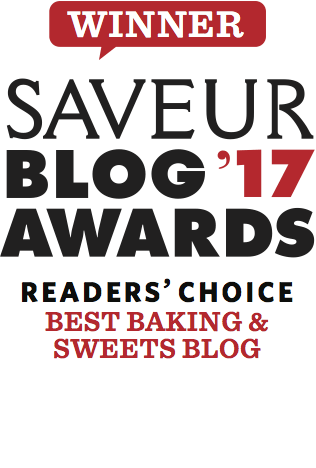 Either way, these cookies are incredibly worthwhile and a must-have in your arsenal of shortbread cookies. (Sidenote: if you’re the type of person who has arsenals of things like cookies, I want to know you. Let’s be friends). Check out Marie Kondo’s book while you’re at it. These buttery brown sugar shortbread cookies are sweet, rich, and perfect for dessert or with an afternoon cup of coffee. In a food processor, pulse flour brown sugar, and salt together until well combined. Add butter chunks and vanilla to dry ingredients and pulse together until a dough forms into one ball. Try not to overwork the dough, but keep in mind this dough is dry and will take more time to come together than some. Flatten dough out into a disk and refrigerate for at least 30 minutes. When ready to bake, preheat the oven to 325 degrees and roll dough out to 1/4″ thickness. (See notes) Using a biscuit cutter or a 2 1/2″ round cutter, cut out cookies and place on a parchment lined baking sheet at least 2″ apart. If desired, combine cinnamon and sugar and sprinkle over cookies. 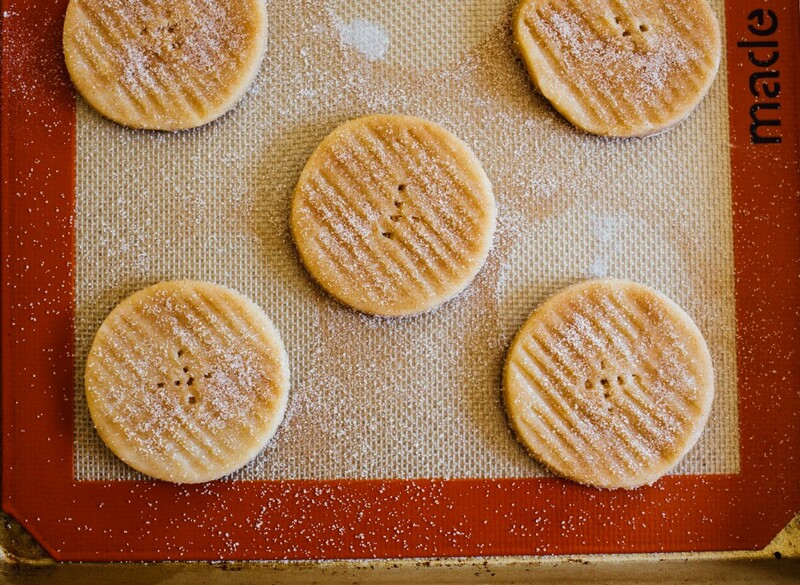 This will turn your regular old brown sugar shortbread to cinnamon sugar shortbread! If your dough has gotten warm or soft, pop in the freezer for 5 minutes to set cookie’s shape. Baked for about 12 minutes or just until edges have set. Cool on a cooling rack and if desired, drizzle with warmed chocolate. For cinnamon brown sugar shortbread, sprinkle cookies liberally with cinnamon and sugar mixture before baking. If chocolate dipped brown sugar shortbread cookies is what you’re after, apply after cookies have been baked and cooled. 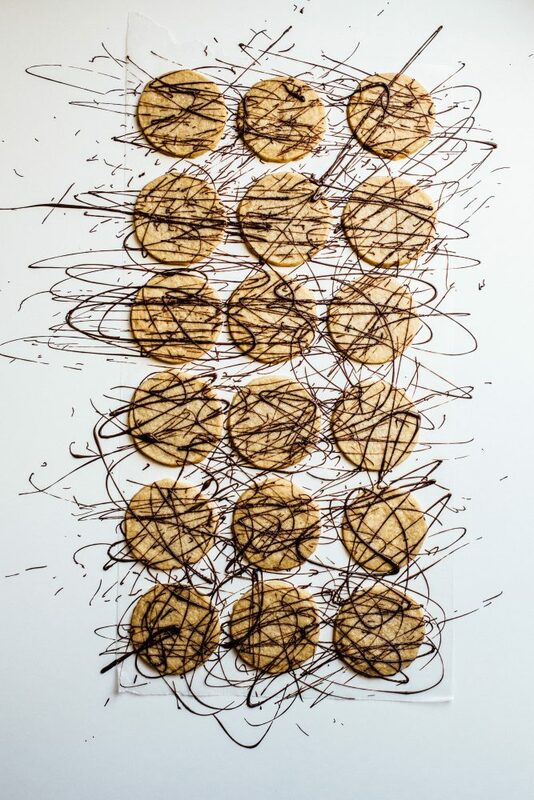 The cookies as photographed were rolled to 1/4″ thickness and cut with a 2-1/2″ biscuit cutter. 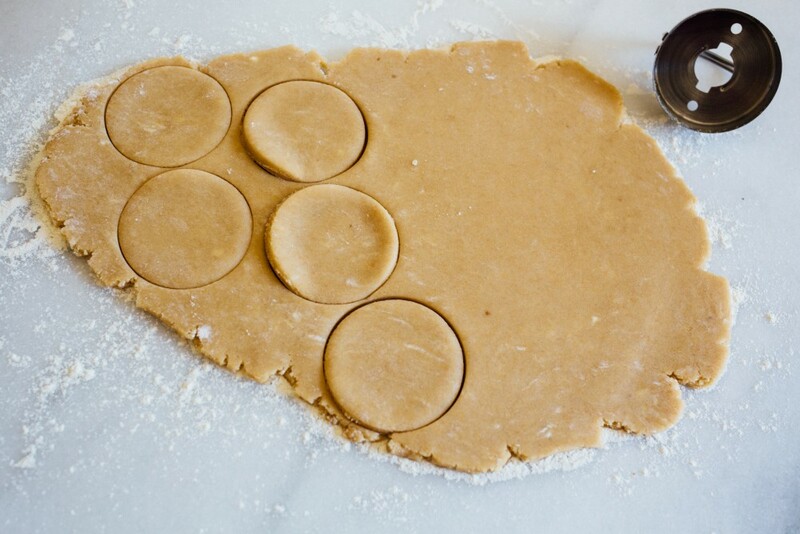 For a more traditional shortbread cookie shape, roll a smidge thicker and cut with a smaller 2″ round cutter. Any shape cookie cutter will do. Baking time will differ based on cookie shape so keep an eye on them in the oven and remove when edges are set and are just barely beginning to brown. my dough came out super dry and crumbly! Can you tell me what I did wrong? Ohhhh I love a car load of junk headed to drop off at the Goodwill! I’ve heard lots of good things about this book- I’ll have to check it out! The book will not disappoint! Enjoy!